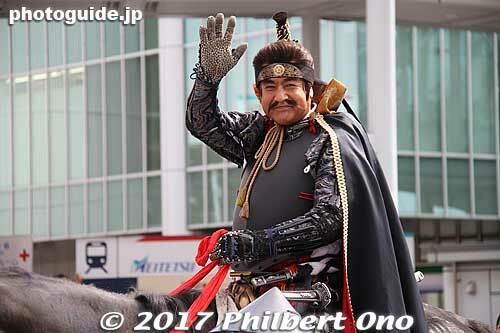 Oda Nobunaga was played by actor Hiroshi Fujioka at the Gifu Nobunaga Matsuri in Oct. 2017. Hiroshi Fujioka is famous as the actor who portrayed "Kamen Rider" in the 1970s TV series. He's still famous and beloved in Japan and has had a very good career after Kamen Rider.